Deciduous tree high up to 40 m [Delipavlov & al, 2003]. The species is distributed throughout the country, between 0 and 800 m altitude. [Delipavlov & al., 2003]. Caudullo, G., Welk, E., San-Miguel-Ayanz, J., 2017. 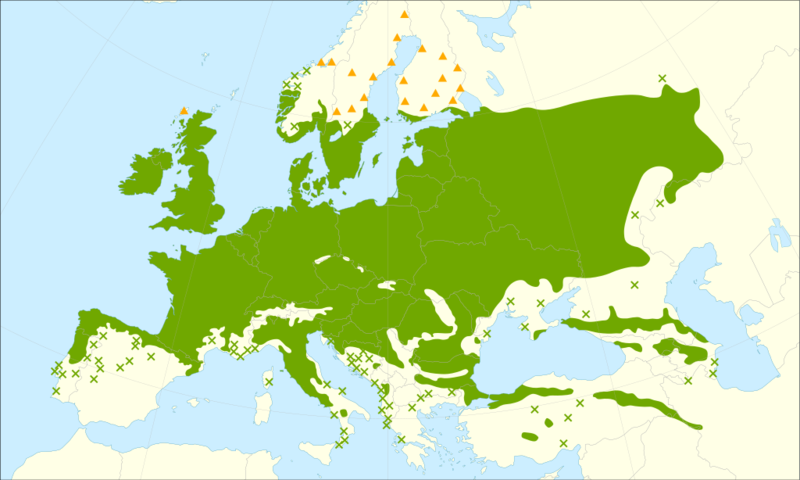 Chorological maps for the main European woody species . Data in Brief 12, 662-666.